This is what it looked like when I bought it. Looks like it was originally a good quality table that someone had ‘fixed up’. Kind of a ‘make do’ new wood top, and the backsplash (not use WHAT that is really called!?!) was added on using odds and end of wood scraps. I managed to get it repainted, but still pondering what to do with that backsplash. 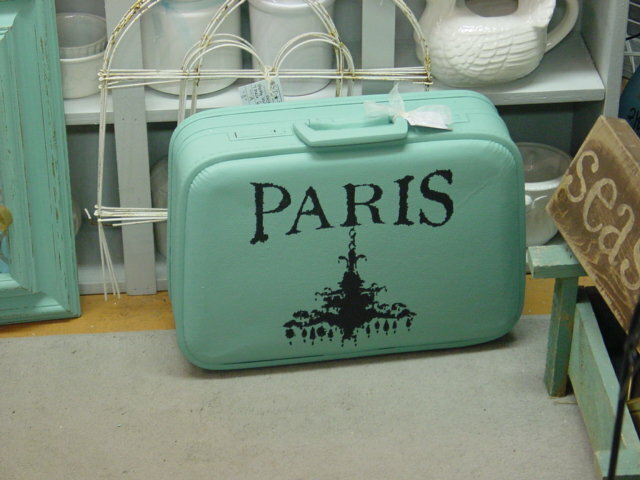 Maybe paint this PARIS stencil with chandelier on it? Would prefer to add a mirror, but I don’t have one the right size and I’m not sure I can be patient enough to wait until I happen to find one. 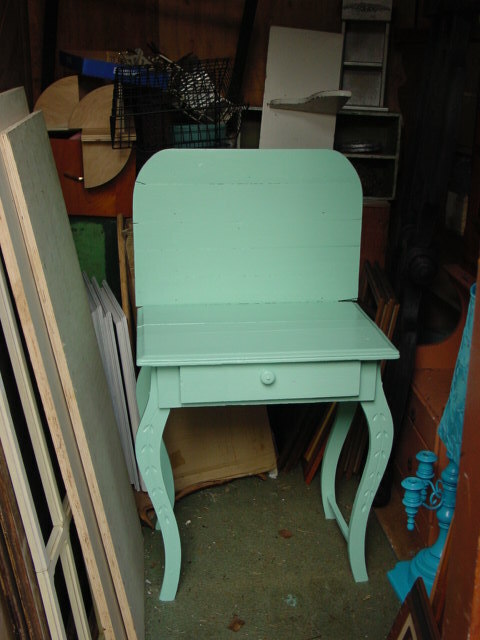 I could just paint the design and leave the adding of a mirror up to its new owner, I guess. 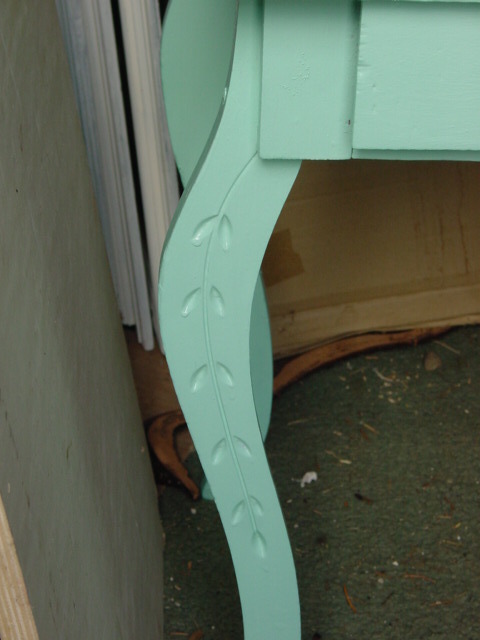 LOVE the carved detail on the legs! 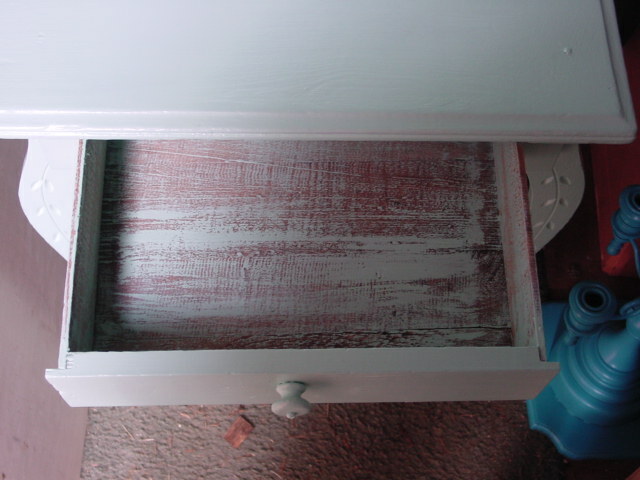 The drawer was a bit too shabby, so I gave it a quick DRY BRUSH paint job to freshen it up. IF just the bottom of the drawer had been ‘icky’, I’ll usually have Michael cut and put a new one in; OR glue down some paper as a drawer liner. The SUN is out, and so am I!!! 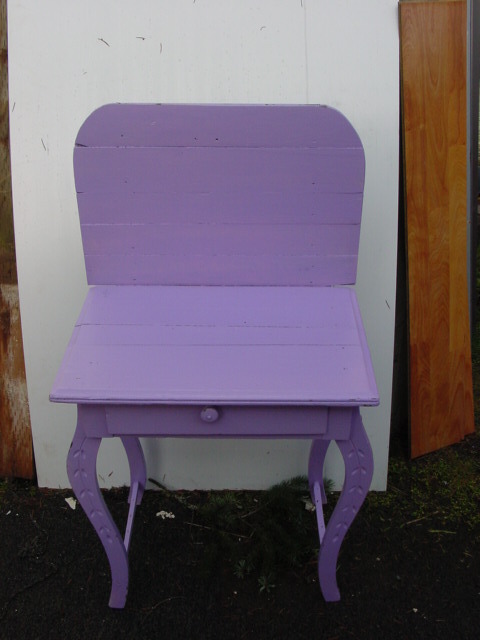 Lots of outside painting projects calling to me! Get a window that will fit the area, spray it with looking glass paint and attach it to the back. Love the color.